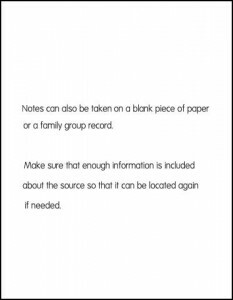 Below is a list of guidelines to follow in extracting information and recording information from books, microfilm, or another person. book title, author’s name, volume, page. film name or description, film number, page. 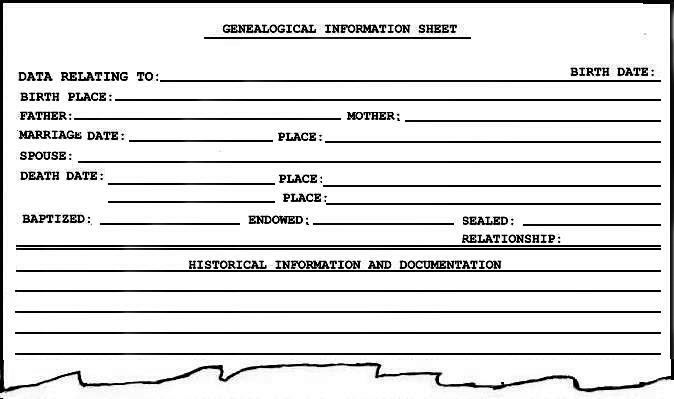 the name and address of the person being interviewed. List anything necessary to help you or someone else find the same material at a later date. Copy the entry just as it is found, including headings. If you make your own comments or observations, place them in brackets [ ] so that others will know that they are yours. 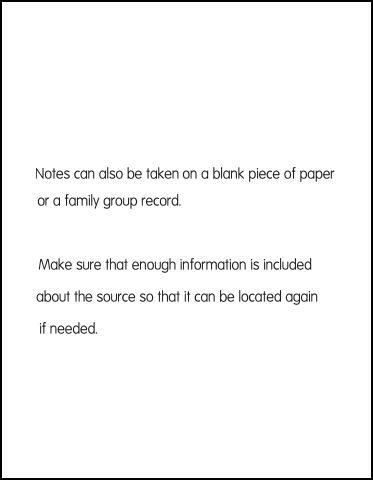 File your notes in your filing system as soon as possible, typing them first if you wish.